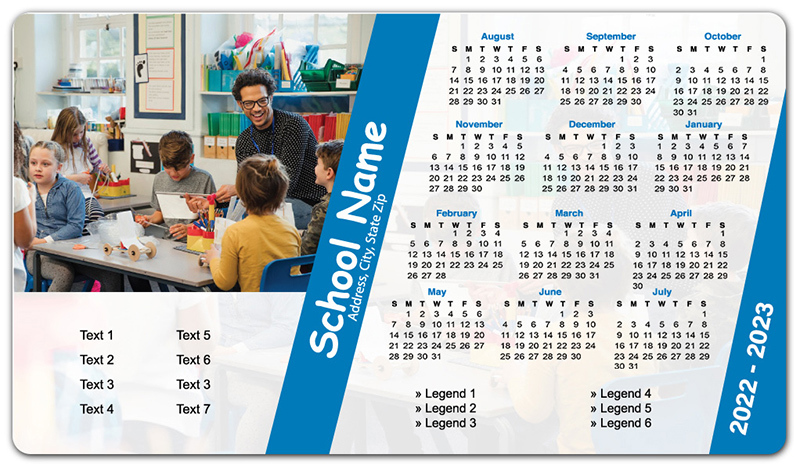 A 4 x7 inch high school calendar magnets with round cornered edges are favored by schools to improve their visibility. Schools can offer these magnets as gifts in the beginning of the school academic year. They can order it in large quantities and save on the customization fee and avail hefty discounts. Parents and students will always feel elated to retain this magnetic sticker over their refrigerator doors and other visible surfaces.